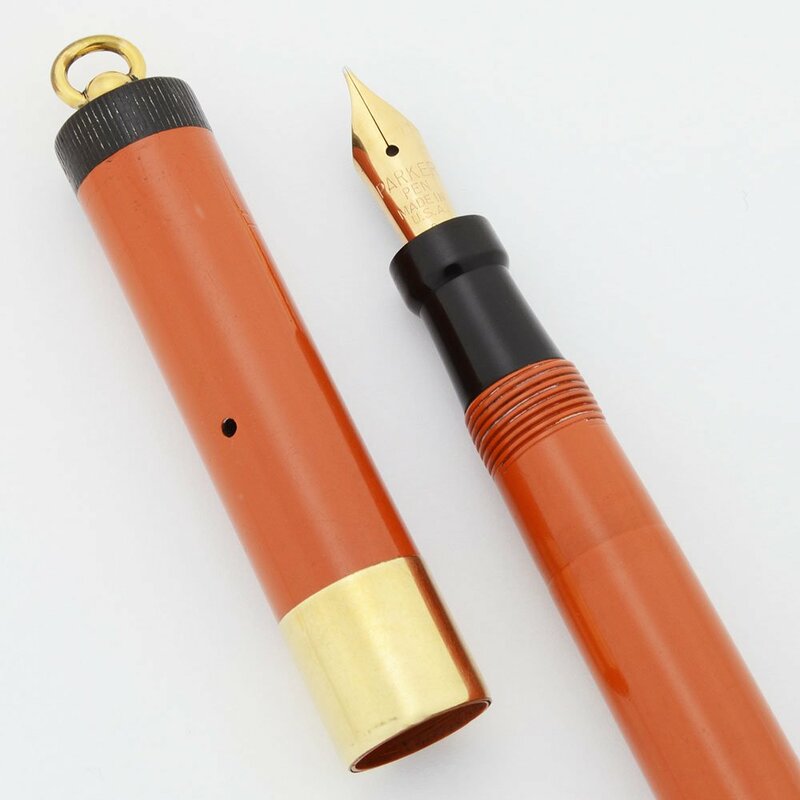 Parker Lady Duofold Deluxe Lucky Curve ring top fountain pen from the 1920s. 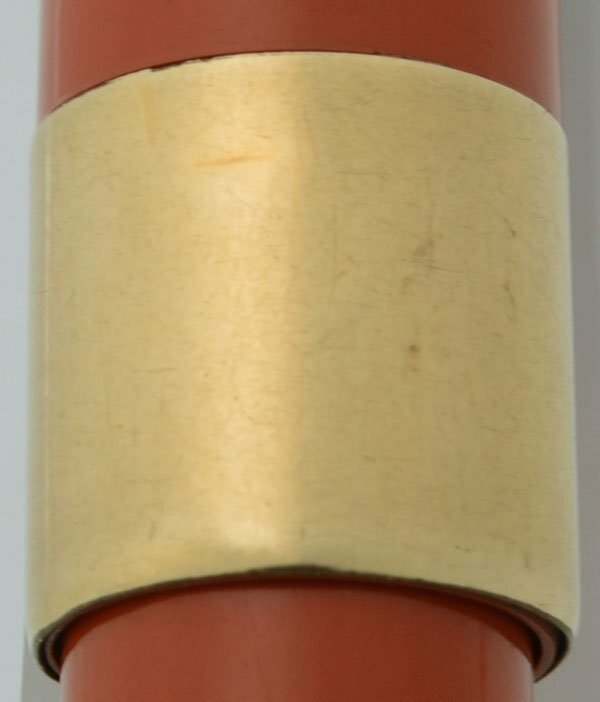 Button filler in the classic "red" (looks orange) permanite with black ends and a wide gold filled cap band. Medium Parker Pen nib. Excellent condition, fully restored and working well. Manufacturer and Year Parker, made in U.S.A. -- 1920s. Nib Medium Parker Pen nib. It has a 9 imprint. It writes smoothly and is slightly springy. The tipping is large and round. Condition Excellent condition. The permanite looks great with a very clear imprint. The knurling on the blind cap and cap is strong. The cap band has a few 1/16" long dents. We photographed them as well as we could. The cap lip has a few dings. The cap, blind cap, and barrel near the blind cap have lots of shallow bite marks. The pen and ring top parts work well.